This is the best phone ive ever used, and ive had hundreds of android phones since its release, full keyboard is a must, the trackball is awesome for vnc/teamviewer/rdp i cant think of a downside im a real htc fan but this is my first android and ive never been without one i LOVE it!! insurance, 17 Sep 2013Hw can upgrade my G2 OS to 4.2 is it possibleu wan steal am? it is good fone..nd i love it..
Horrible.3rd time sending it back, keyboard sticks adding a period & caps. Bad service, drops calls, sound like I'm underwater. Phone freezes in middle of text/facebook. Worst phone ever! Okala, 08 Sep 2013Please how can I browse into my memory card and find things like music and pictures??? I will ... moreGo to google play to download file manager. I just downloaded mine today and it's working perfectly. Please how can I browse into my memory card and find things like music and pictures??? I will love answers as many as possible. Thanks. Pls, how do i root my phone? I'll appreciate solution from as many as possible. Thanks. 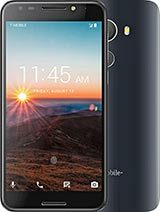 Please, how do i root my G2? It's nice anyway but I just have problem receiving data through bluetooth, wat shuld I do. its still on point..the phone is cool and i love it..